My rating: 8/10, Minimalist, mesh strap. 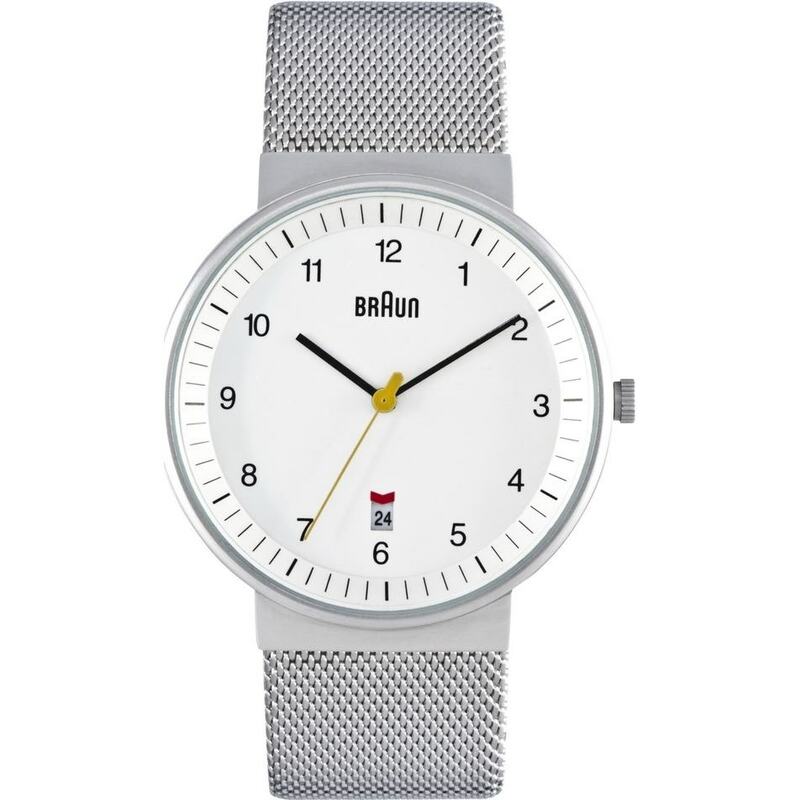 Braun BN0032WHSLMHG watch is ideal for those looking for an aesthetically clean minimalist style watch. 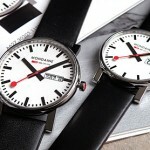 With it’s clear white dial design and small scale numbers this watch has a spacious feel to it. There’s a simple highlighter date display with the red pointer which along with the yellow seconds timer adds a slight flash of colour to the otherwise monochrome watch. Band Stainless steel mesh style strap, standard length, 22mm width, fold over style clasp. Case Stainless steel case, sizing diameter: 40 mm and thickness: 8 mm. The date display is small which some may find hard to read. Braun BN0032WHSLMHG watch is perfect for those who are after a blend of simplicity in design and reliability. I rather like the use of the miniature sizing for the hour markers, it leaves so much space on the dial which works perfectly for the overall watch style. Braun may not be the first brand you think of when you’re looking for a new watch but they can definitely hold their own against other popular brands. The main downside as I mentioned before would be the possibility of struggling to read the date. I personally like the date display but it’s worth keeping it in mind. 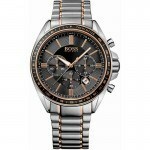 Overall a very nice watch that I’ve enjoyed taking a look at today. Hope you enjoyed this Braun BN0032WHSLMHG review. 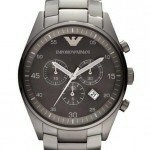 Find more watch reviews below.